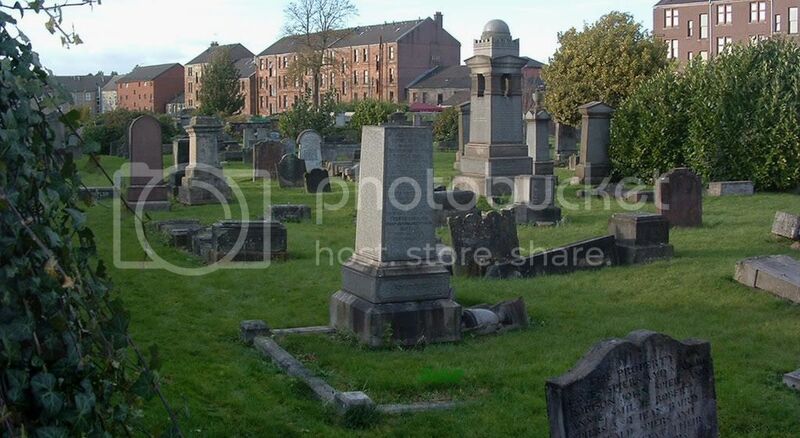 Location: Between Tollcross Road, Braidfauld Street, Corbett Street and Easterhill Street, Tollcross, Glasgow. 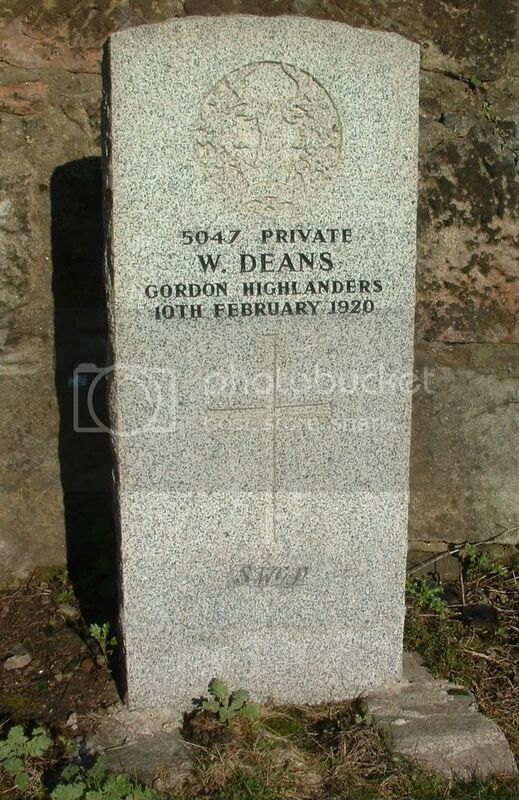 Listed on CWGC as Tollcross (Central) Churchyard, it is in fact Tollcross Churchyard and Tollcross Cemetery. 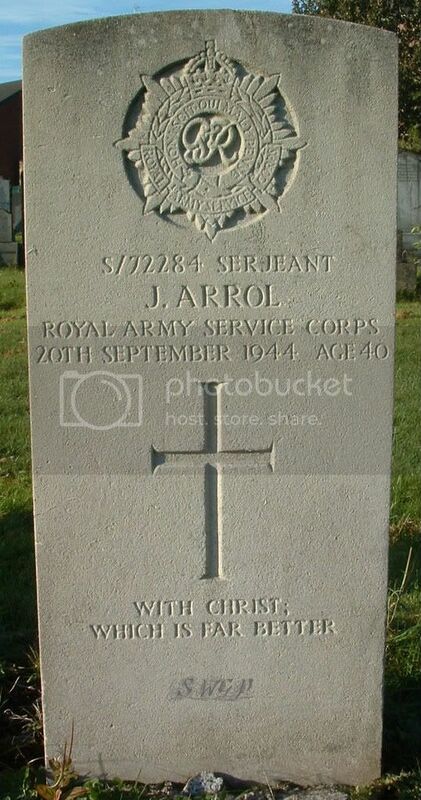 In total, there are 36 CWGC Burials between the 2 areas but they have all been grouped together. For the purpose of this project, all the burials will be grouped together and listed alphabetically. 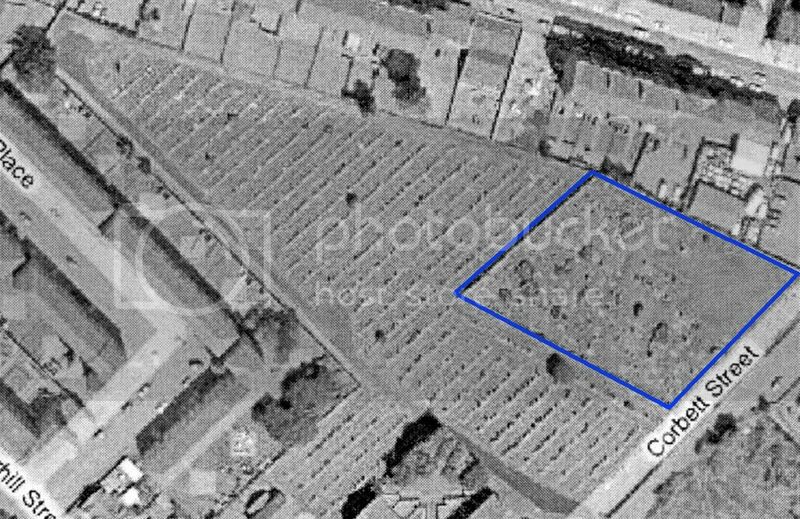 There are 5 CWGC Burials in the Churchyard (Section outlined in Blue) and 31 CWGC Burials in the Cemetery. Grave/Memorial Reference:	Sec. B. Grave 16. 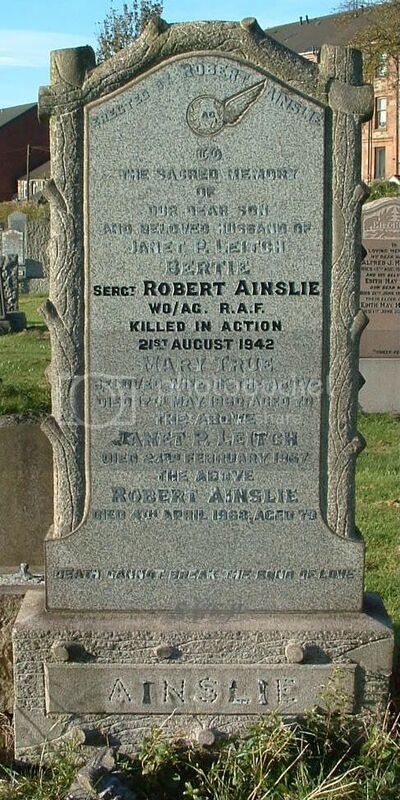 Additional information:	Son of Robert Ainslie, and of Mary Ainslie (nee True), of Glasgow; husband of Jenny (Janet) Paton Ainslie (nee Leitch), of Knightswood, Glasgow. Grave/Memorial Reference:	Sec. E. Grave 22. Grave/Memorial Reference:	Old ground. 841. Additional information:	Son of James Stobo Arrol, and of Agnes Ann Clark Arrol (nee McPeak), of Glasgow; husband of Catherine Arrol, of Glasgow. Grave/Memorial Reference:	Sec. L. Grave 11. Additional information:	Son of William and Margaret Bain; husband of Janet Glen Kirkwood Bain, of Glen Place, 1097, Shettleston Rd., Glasgow. Born at Coatbridge. Grave/Memorial Reference:	Old ground. 55. Grave/Memorial Reference:	Sec. L. Grave 25. 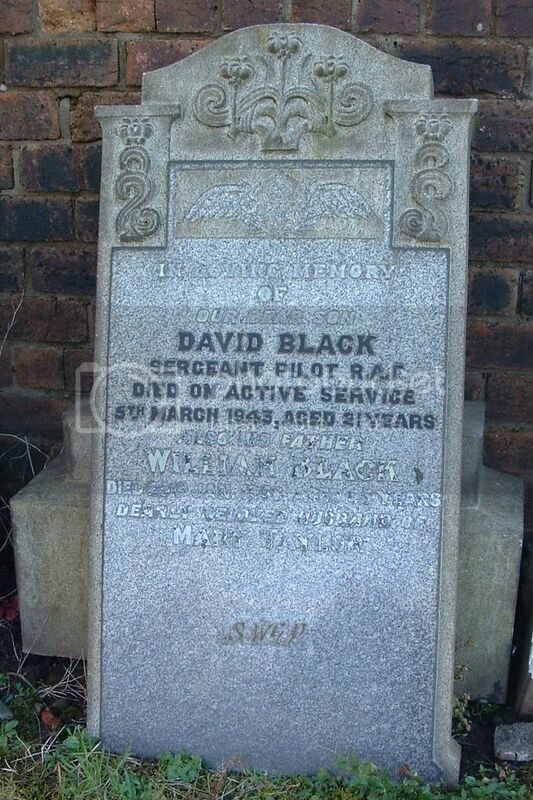 Additional information:	Son of William and Mary Bower Black, of Sandyhills, Glasgow. Grave/Memorial Reference:	Sec. B. Grave 41. 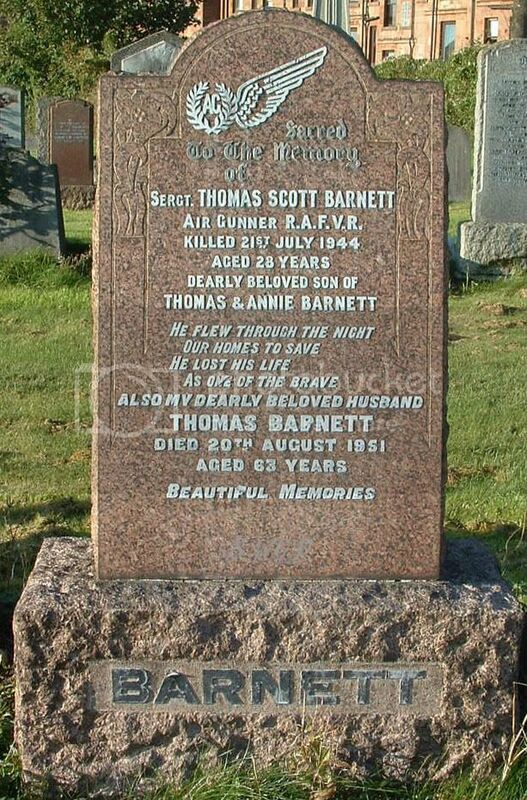 Additional information:	Son of Martin and Margaret Blue, of Glasgow. Grave/Memorial Reference:	Sec. E. Grave 85. Secondary Unit Text:	attd. 205 H.A.A. (M) Regt. 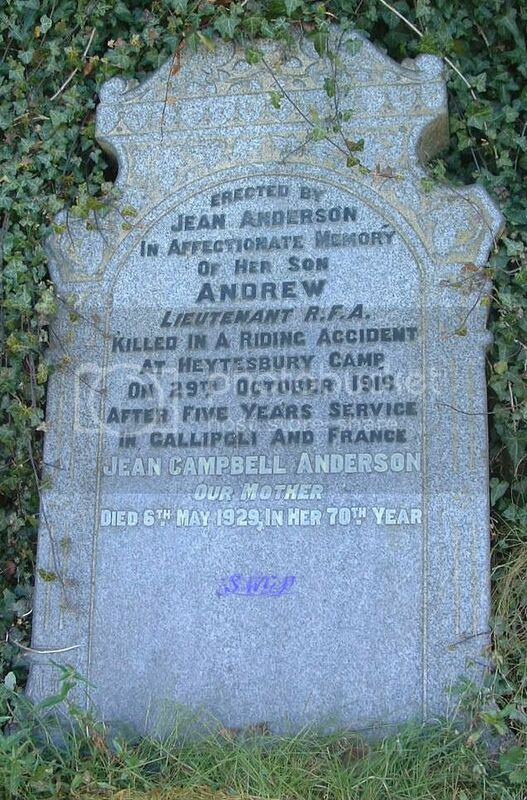 Additional information:	Daughter of Neil and S. M. Campbell, of Glasgow. Grave/Memorial Reference:	Sec. C. Grave 46. Unit Text:	1 Indep. Sound Ranging Bty. 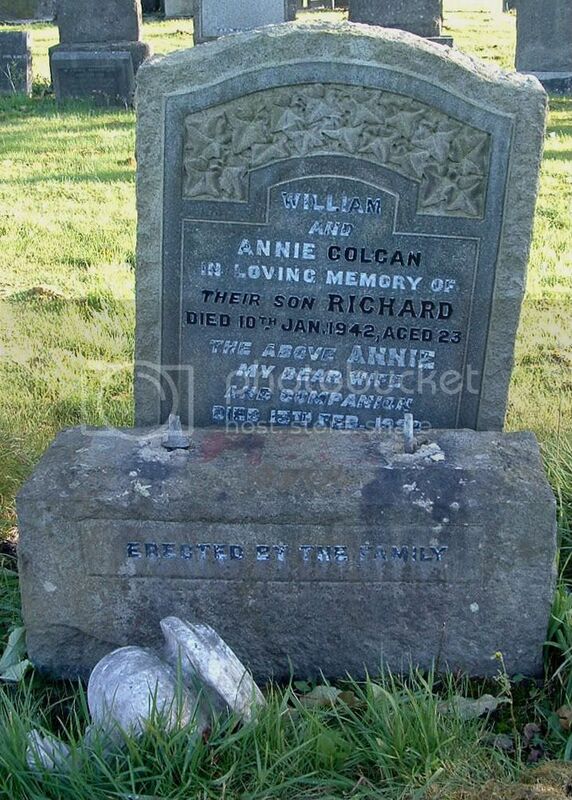 Additional information:	Son of William G. Colgan and Annie Colgan, of Glasgow. Grave/Memorial Reference:	Sec. F. Grave 46. Unit Text:	268 Field Coy. 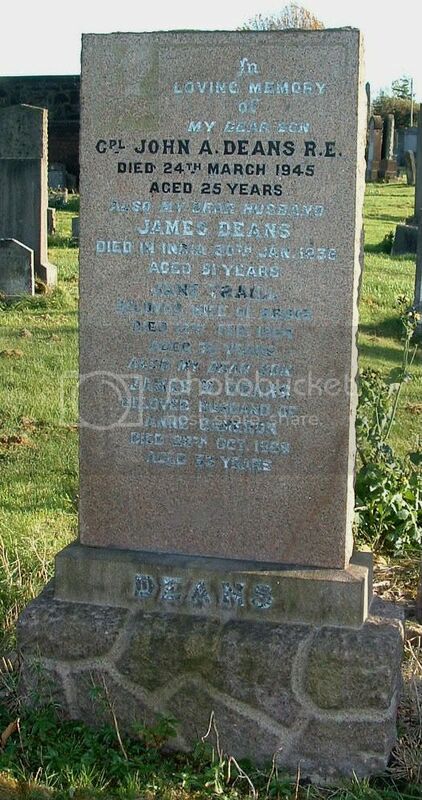 Additional information:	Son of James and Jane Deans (nee Traill), of Glasgow. Grave/Memorial Reference:	Sec. K. Grave 31. Grave/Memorial Reference:	I. Wall section. New portion. 735. 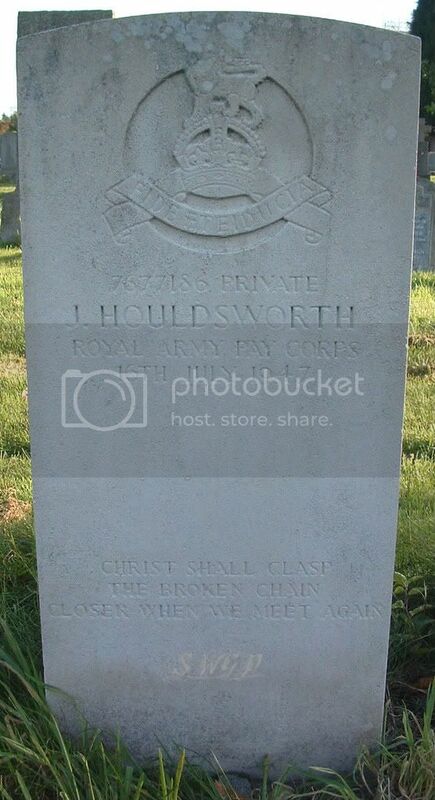 Additional information:	Son of Henry and Elizabeth Houldsworth, of Glasgow; husband of Mary McKay Houldsworth. Grave/Memorial Reference:	Sec. M. Grave 44. 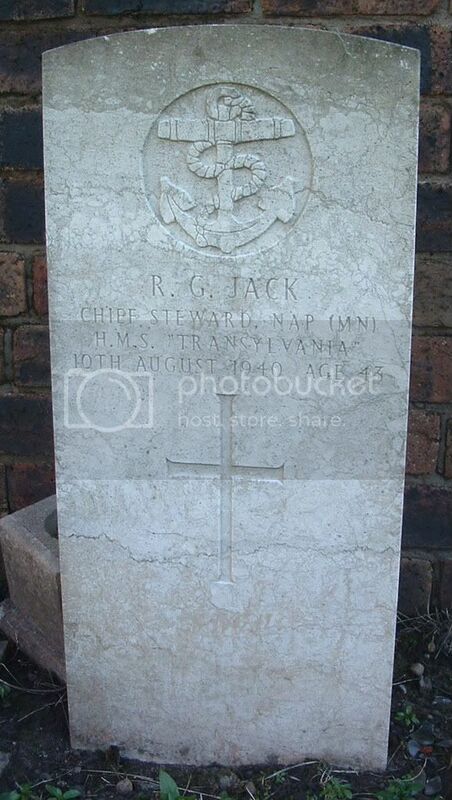 Additional information:	Son of William and Mary Jack, of Glasgow; husband of Margaret Wotherspoon Jack, of Glasgow. Grave/Memorial Reference:	Sec. B. Grave 30.